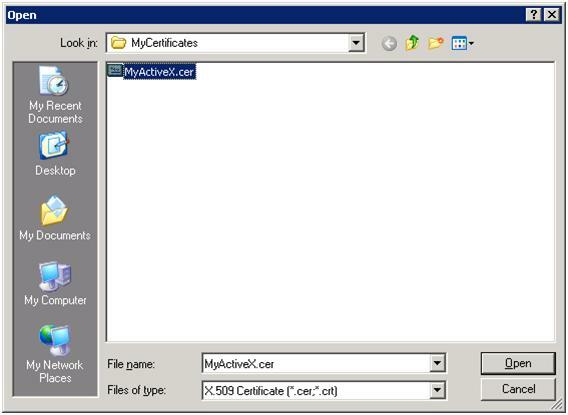 This article explains how to sign an ActiveXperts component so it can be used by any Internet Explorer without any browser security popup message. 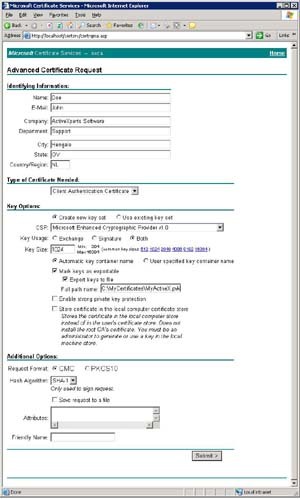 In this article, a local CA (Certification Authority) is used (i.e. a CA that is located in the LAN). 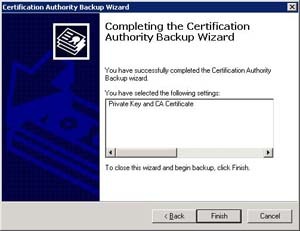 The installation of this CA is also described in this article. In order to install and use an ActiveXperts component in a safe manner in a browser, the COM DLL (the actual component) will be packaged in a cabinet (.CAB) file. 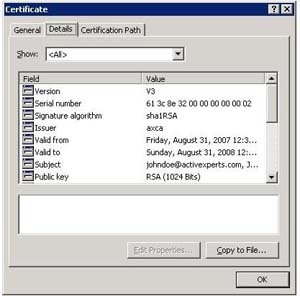 This CAB file will be signed using a certificate, issued by a Certificate Authority. You can use any CA (Certificate Authority) to request a certificate, as long as the CA is in the list of trusted CA's in the client's browser; in this article, we will use a local CA, located in a LAN. 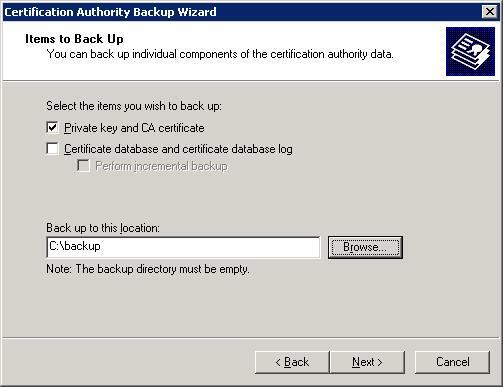 We will use Microsoft Certificate Server for that. This CA will be added to the client browser's list of trusted authorities. You can also use a commercial CA instead, for example: Verisign. To package a DLL into a cabinet (.CAB) file, use Microsoft's free Cabinet Software Development kit. You can download the this SDK from the following location: support.microsoft.com/kb/310618. The setup installation file is a self-extracting executable. 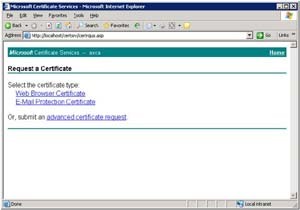 On Windows 2003 Server platforms, Microsoft Certificate Server is not installed by default. 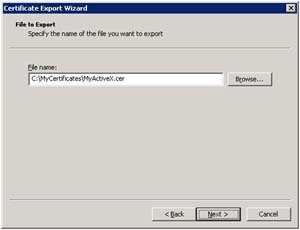 You can install Microsoft Certificate Server from the Add/Remove Software applet. When the applet is started, click on 'Add/Remove Windows Components' and choose to install 'Certificate Services'. During the installation of Microsoft Certificate Server, you will be prompted for a 'CA Type'. 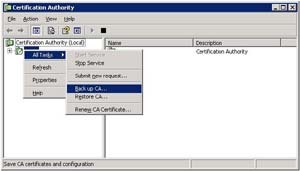 If you choose for an Enterprise root CA, you can only use the certificates in association with Active Directory. 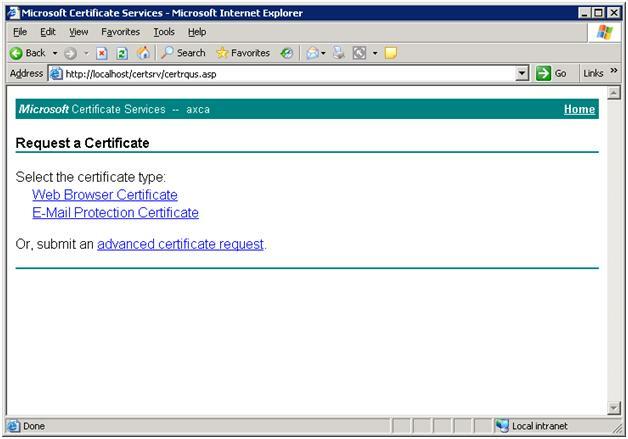 Since we want to allow the ActiveXperts component for any browser on any network, select 'Stand-alone root' CA. 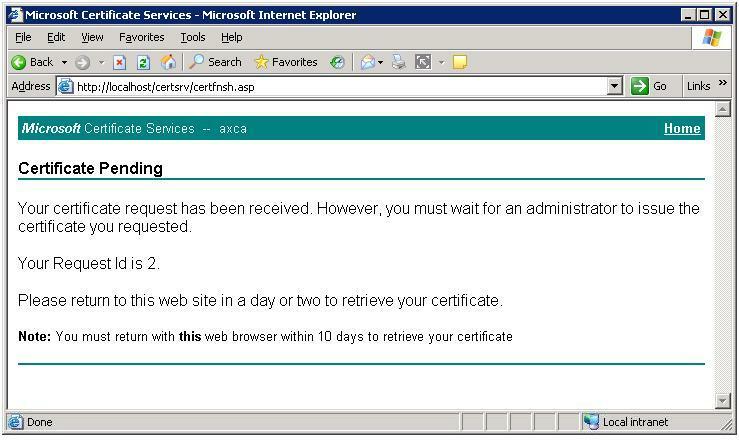 NOTE: You must have IIS installed prior to the installation of Microsoft Certificate Server. 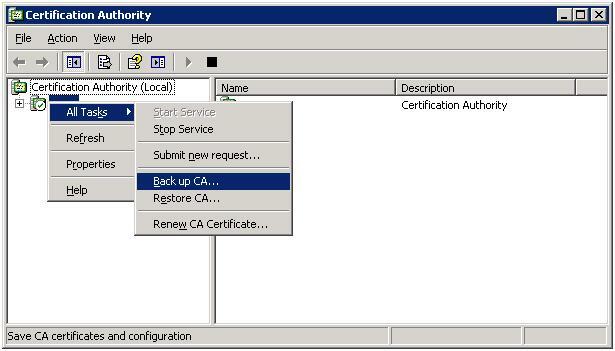 Now you have your local CA installed, you can request a certificate. 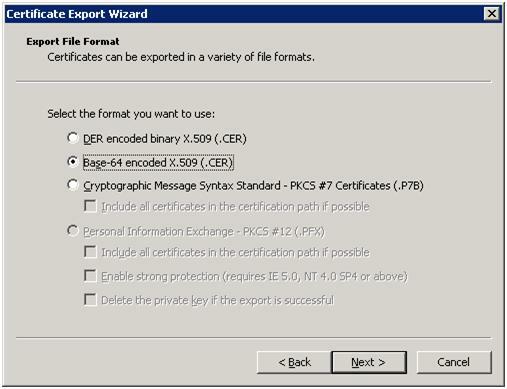 In the 'Advanced Certificate Request' window, it is important to enable the 'Mark key as exportable' option so that the private key will be exported to a file. 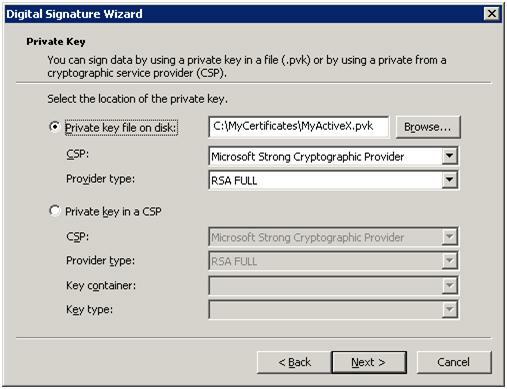 This private key (.pvk) is required later on when signing the CAB file using the signcode utility. 3.d. 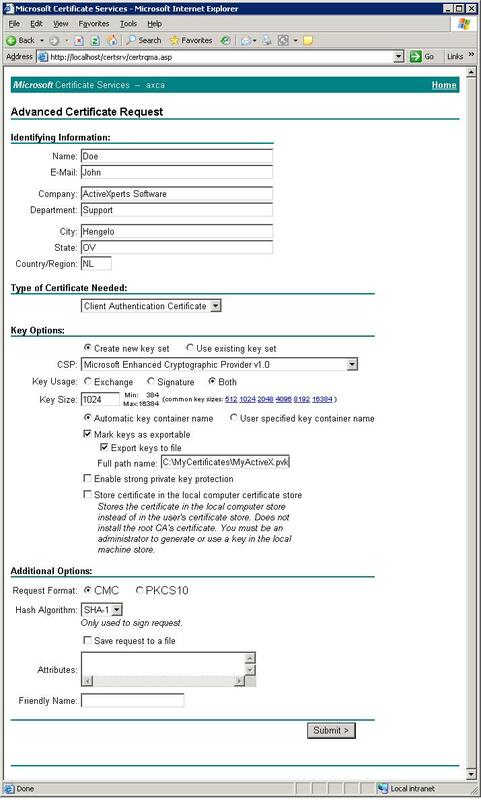 Certificate request. Mark private key as exportable. After clicking "Next", you'll get two 'Potential Scripting Violation' questions. Answer both with 'Yes'. 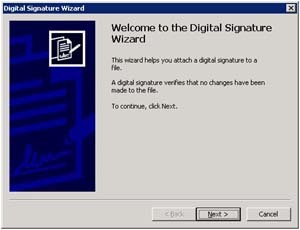 The last step of the wizard will ask for a password. 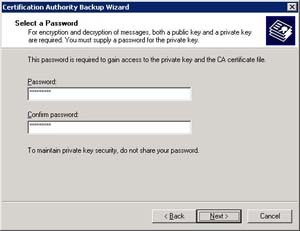 Choose a password; you'll need it later on when signing the CAB file. 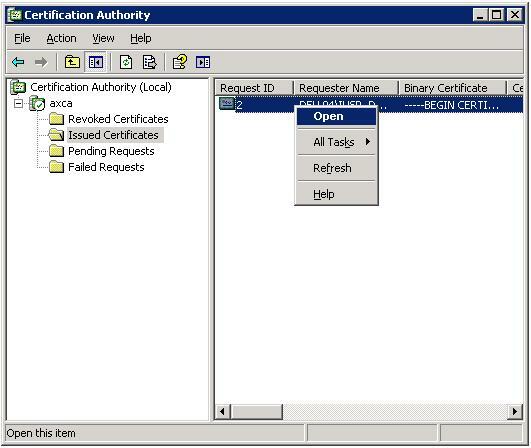 After the request has been submitted, the Certificate appears as 'pending' in the 'Certification Authority' program (choose Start->Administrative Tools to launch this program). Now that the certificate is issued, it is moved from the 'Pending Request' container to the 'Issued Certificates' container. 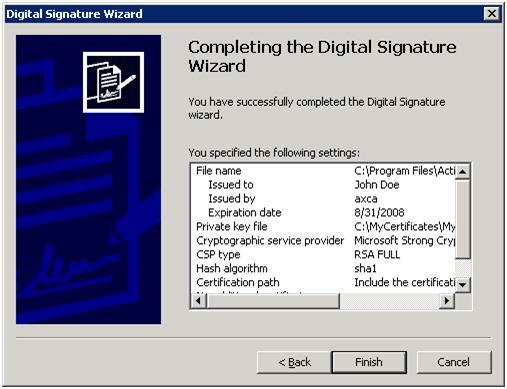 The next step is to export the certificate to a file, so it can be used later by the signcode utility to sign the CAB file. 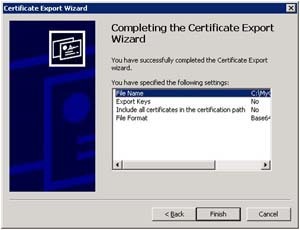 A wizard guides you through the process of exporting the certificate to a file. 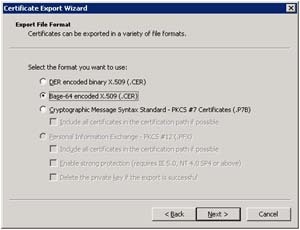 You can select the following file formats: X.509/DER, X.509/base64 or PKCS#7. 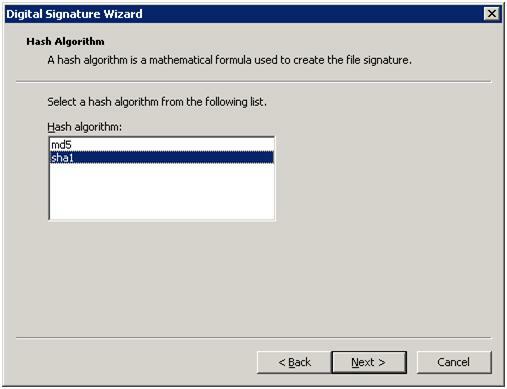 In this article, we use X.509/base64. 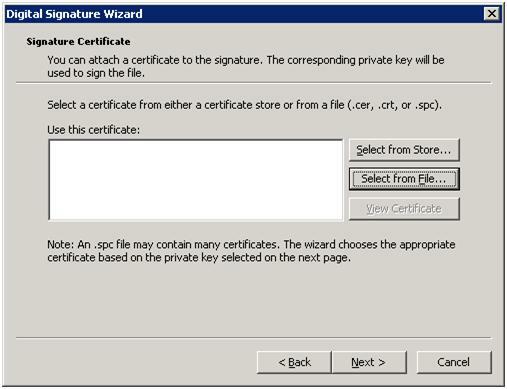 The wizard asks for a valid directory to store the certificate file, and finally shows a completion window. 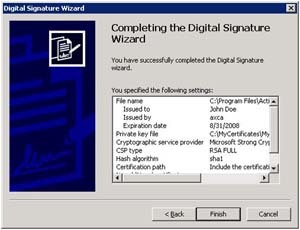 Signing the CAB file means: attaching a certificate to the CAB file. 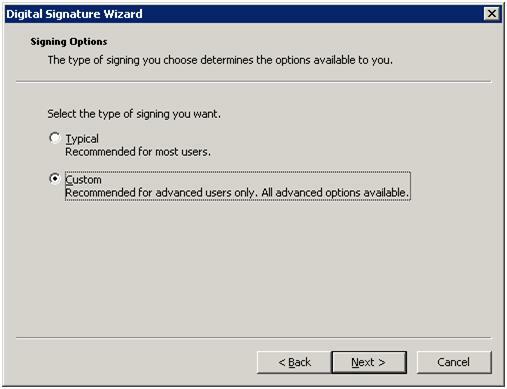 In this article, we use the signcode utility that ships with the .NET Framework SDK 1.1. 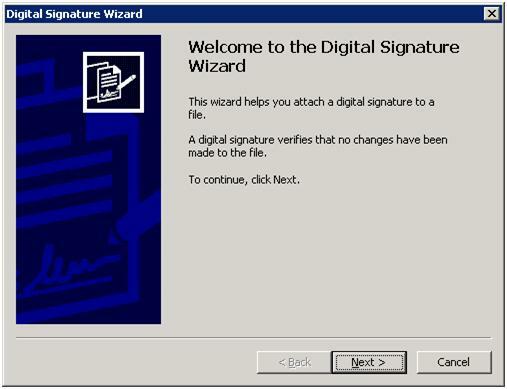 You can launch the SIGNTOOL utility by starting a new command prompt, go to the .NET Framework SDK binaries directory and type 'signcode'. 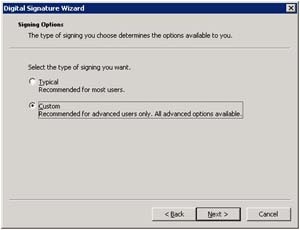 Select the CAB file that was created in Chapter 1, and choose 'Custom' from the signing options. 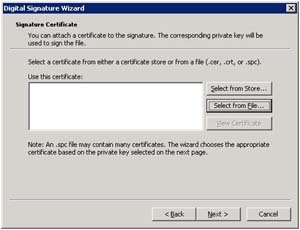 Choose 'Select from File', and select the certificate requested and issued in Chapter 3. 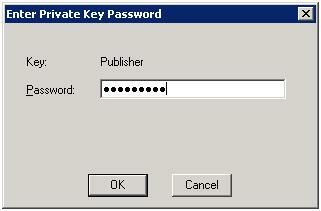 Select the private key that was exported in Chapter 3. 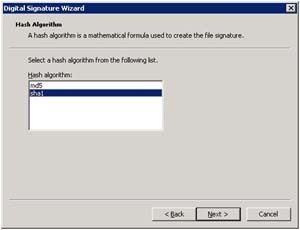 Select your preferred hash algorithm. In this article, we use sha1 (default). After that, click 'Next' a few times leaving all fields default. Finally, the Completion window appears. 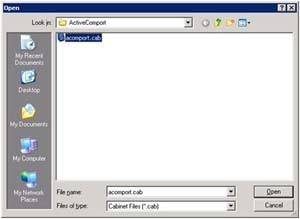 In the ActiveXperts directory, there's a folder named Examples. This folder contains an HTML sample, which consists of just one file called Index.htm. 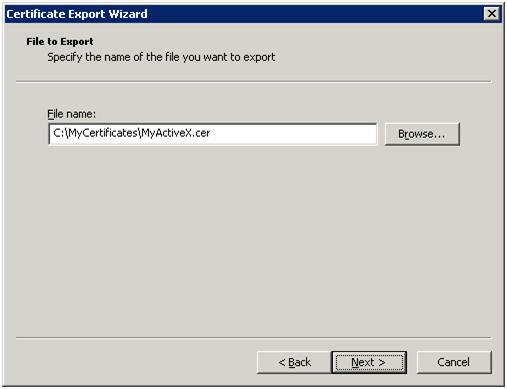 The codebase attribute in the object tag will download and install the ActiveXperts component if it is not already installed. 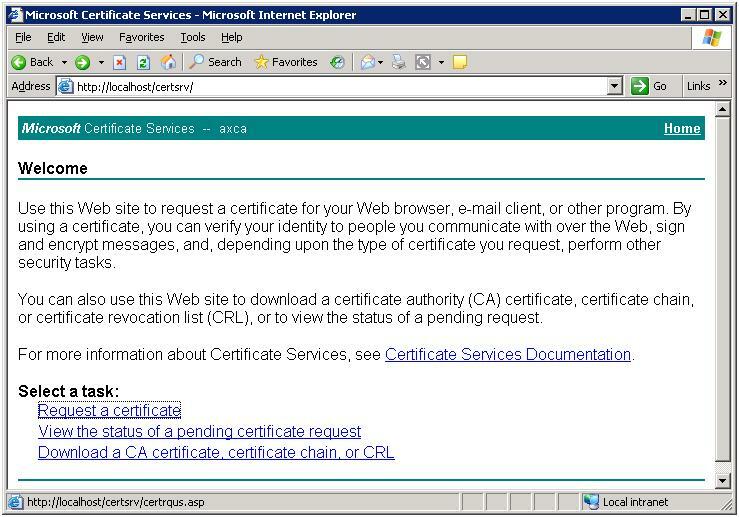 Since the CAB file is digitally signed, we need to tell the Internet Explorer that the particular CA is a trusted one. Many popular CA's are already marked as trusted by default in the Internet browser. However, if you use your own CA (like we do in this article) or if you use a less popular CA, you need to import the CA's certificate in the Internet Explorer to mark the CA as trusted. 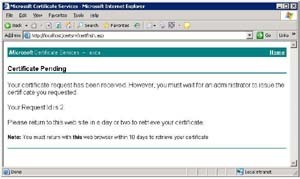 The Internet Explorer Certificate Manager enables you to install and remove trusted certificates for clients and CA's. 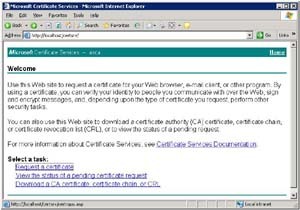 Many CA's have their root certificates already installed in Internet Explorer. 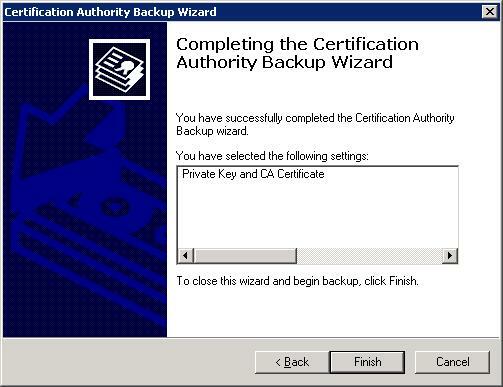 You can select any of these installed certificates as trusted CA's for client authentication, secure e-mail, or other certificate purposes, such as code signing and time stamping. 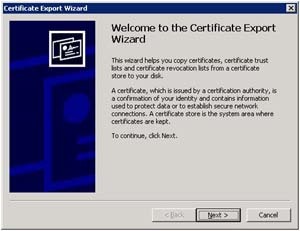 If a CA does not have its root certificate in Internet Explorer, you can import it. 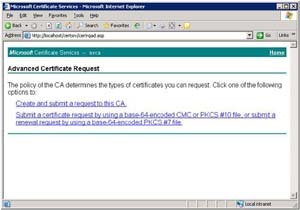 Each CA's Web site contains instructions that describe how to obtain the root certificate. You will be prompted for a file to import. 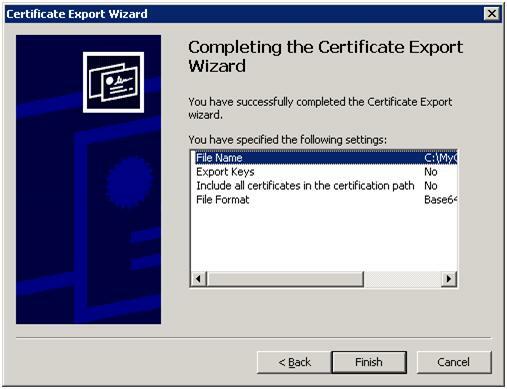 You must select the certificate that was created in Chapter 5.1: "Export the CA's certificate". On first use, you will be prompted to install the component. On any subsequent launch of the HTML file, you can use the component without any warnings or prompts from the Internet browser.